That’s TEXAS Mountain Laurel thank you very much. Native to this here state of Texas and growing in the back corner of my garden, with the most gorgeous purple blooms. Now, how it got its name is probably a tall tale. I mean, really people. I’m a third generation Texan and there are no real mountains in Texas. Hills, yes. Mountains, not so much. (I can hear all of the geology majors; ” There are the Davis Mountains and technically speaking the east Texas piney woods are the beginning of the Ouachita Mountains.”) ok.
Now, don’t go and confuse this tree with the Mt. Laurel found in the Eastern part of the country. This one is Sophora secundiflora. Some of its more colorful names include Mescal Bean, Frigolito, Frijolitos, Big-Drunk Bean and Coral Bean to name a few. The tree produces fat silvery-gray pods that contain bright red beans. It seems the Native Americans prized these beans for their color and their potency as a hallucinogen. (The beans contain cytisine.) What you should know is that they are POISONOUS! But, really you aren’t going to care what it is named because it is just the most amazing tree. Once you get it established, it is practically indestructible. Hard freezes, below 20 degrees, won’t kill it. We have definitely had freezes IN the 20’s and this tree never missed a beat. Come Spring, it was blooming away. Oh, and did I mention it’s an evergreen with beautiful glossy leaves. The tree grows 8 to 12 feet tall and can grow as tall as 30 ft.
Just last weekend, we were traveling to San Marcos to the campus of Texas State University. The campus is quite beautiful (I forgot my camera). The entire campus is built in a terraced effect, as it is quite hilly, and these trees were blooming everywhere. Near the library and the Student Union Bldg. you can look out over the horizon and you’d swear you were standing on a hill mountain. OK, and here is the best part. The blooms smell like grape Nehi soda. No kidding. 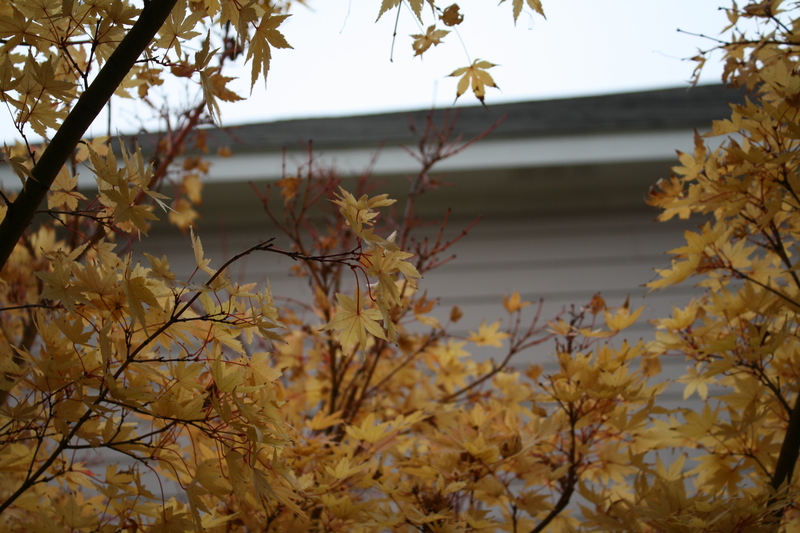 In case you were wondering if I speak Japanese, I only speak Japanese maple. Specifically, Sango Kaku. And yes, I know you can’t eat it. But sometimes, we just need food for our soul. 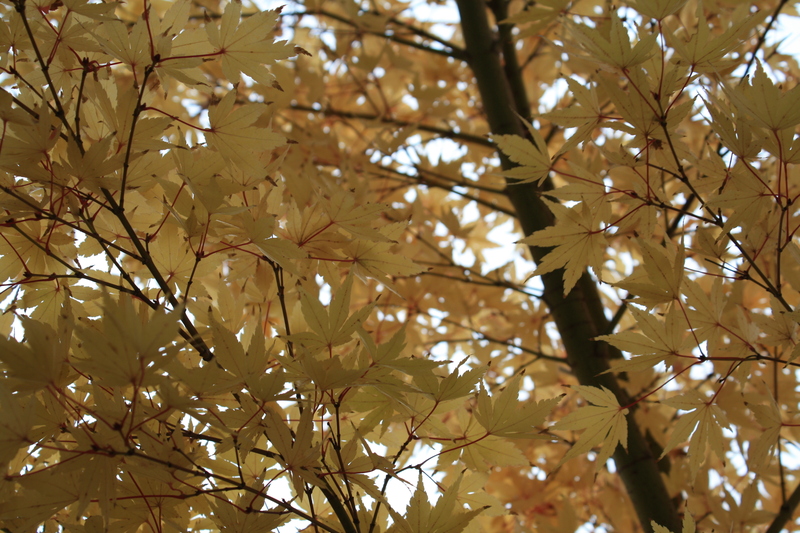 Sango Kaku (acer palmatum) does it for me. All.year.long. 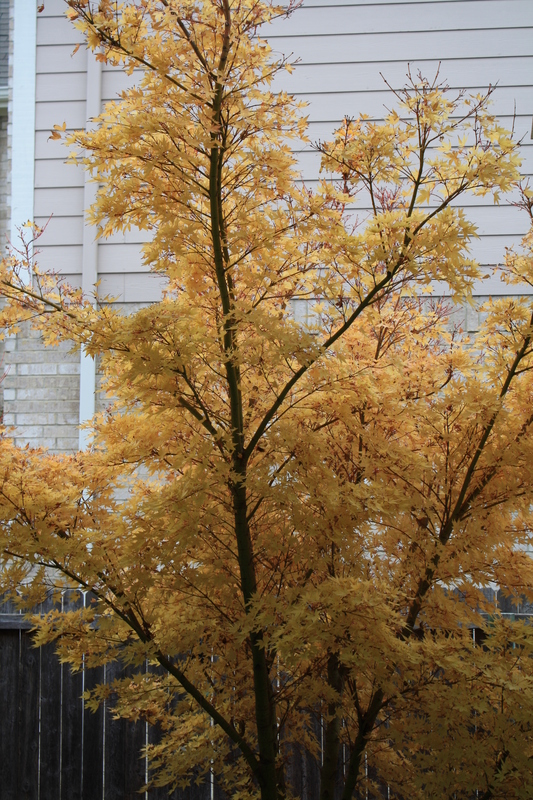 In the spring, the leaves are a lime green which in the fall change to yellow and then to a beautiful golden color tinged with red. In the winter, the younger branches are bright red which is so striking and unexpected. 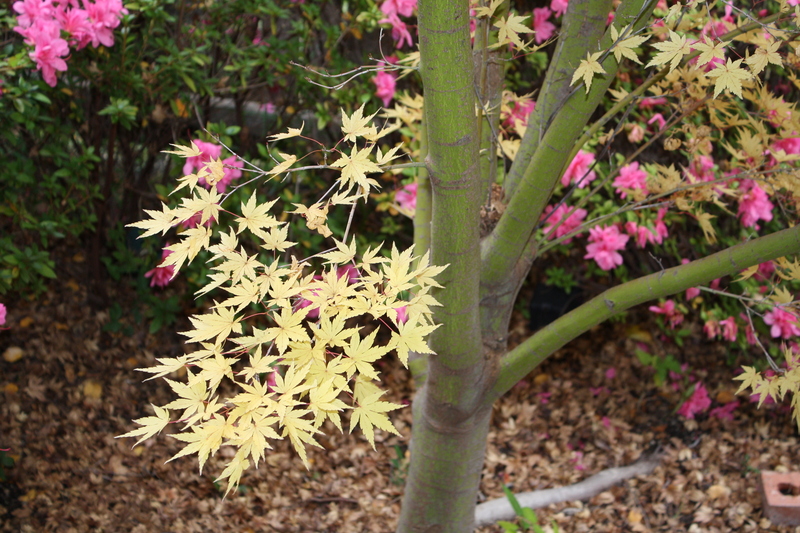 And why you may know this tree as “coral bark” Japanese maple. This is a relatively small tree reaching 18-25 ft. tall and about 8-10 ft. wide. It grows best in zones 5-9. I have it in a courtyard, so it is up close and personal every day. What feeds your soul from the garden?